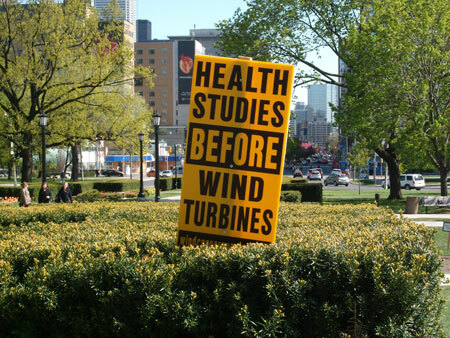 Fortress Of Freedom Board :: View topic - Wind Turbine Protest At Queen's Park! 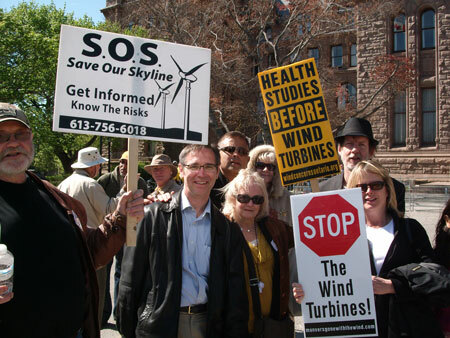 Wind Turbine Protest At Queen's Park! 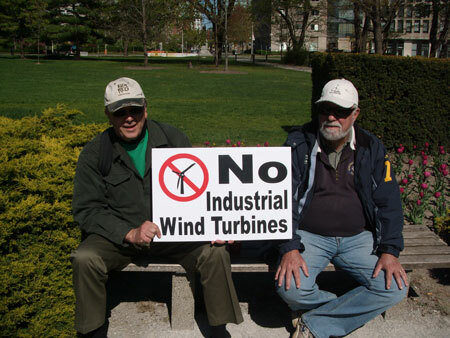 Posted: Wed Apr 28, 2010 10:20 pm Post subject: Wind Turbine Protest At Queen's Park! 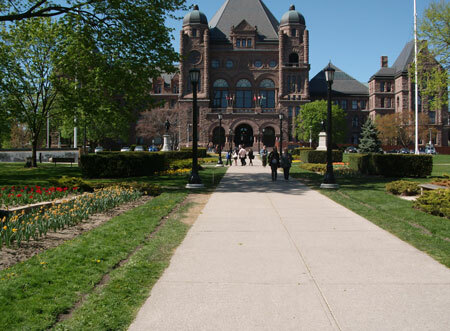 The Parliament Buildings at Queen's Park in Toronto. 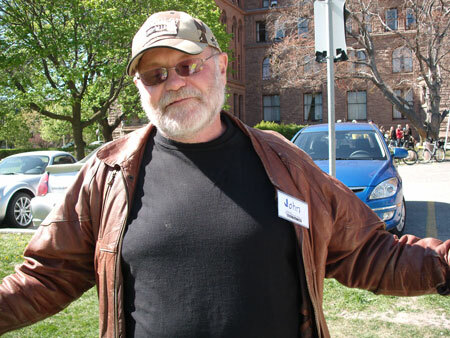 John from Pontypool, Ontario waved his hands in frustration. 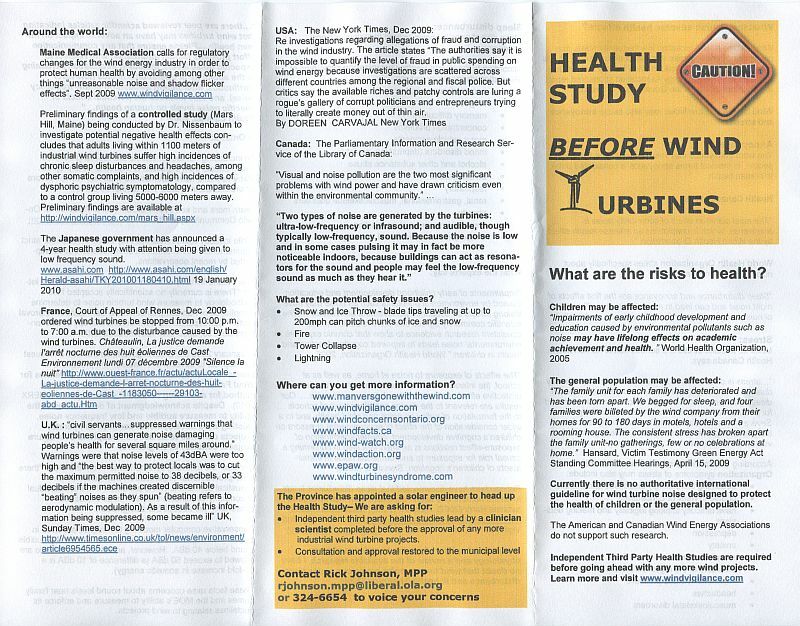 He reiterated his frustration with the procedure used for accepting plans for the wind turbine farms. Those procedures seem to favor the business developers with little recourse for the rural citizens. 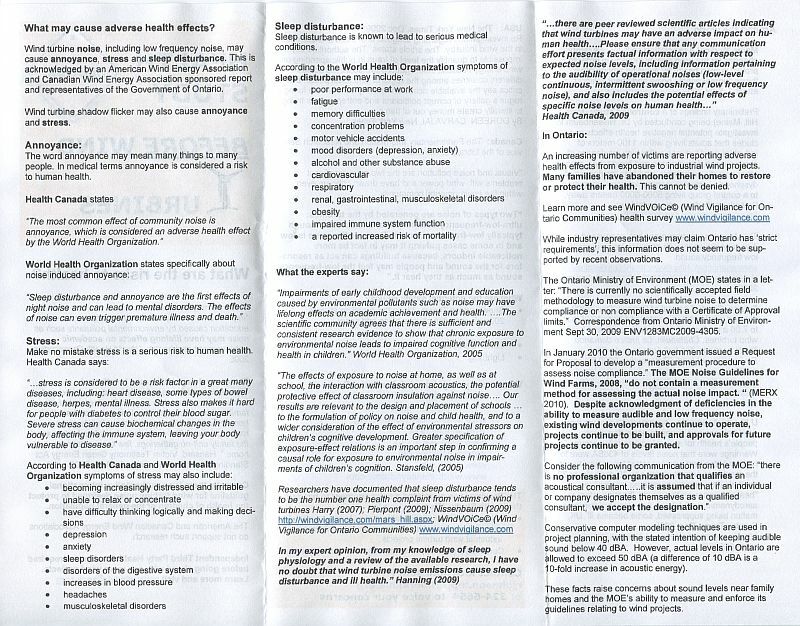 The procedures are written in the printed material given to the media, some of which is presented below. More concerned citizens at the protest. Extra signs at the protest. I guess they expected more to join in the protest. My personal feelings with regard to this protest is that these were ordinary citizens. 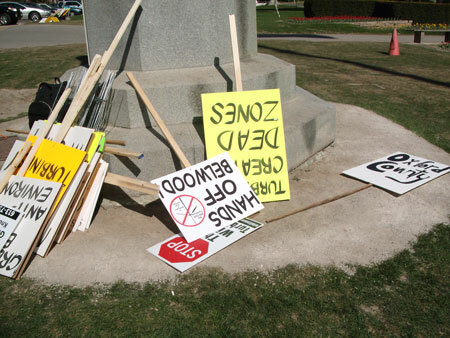 Unlike the more political protests such as the " proroguing of Parliament" in 2008, there were no professional protestors, unions pretending to be concerned citizens, no political endorsements from the opposition parties and no anarchists. 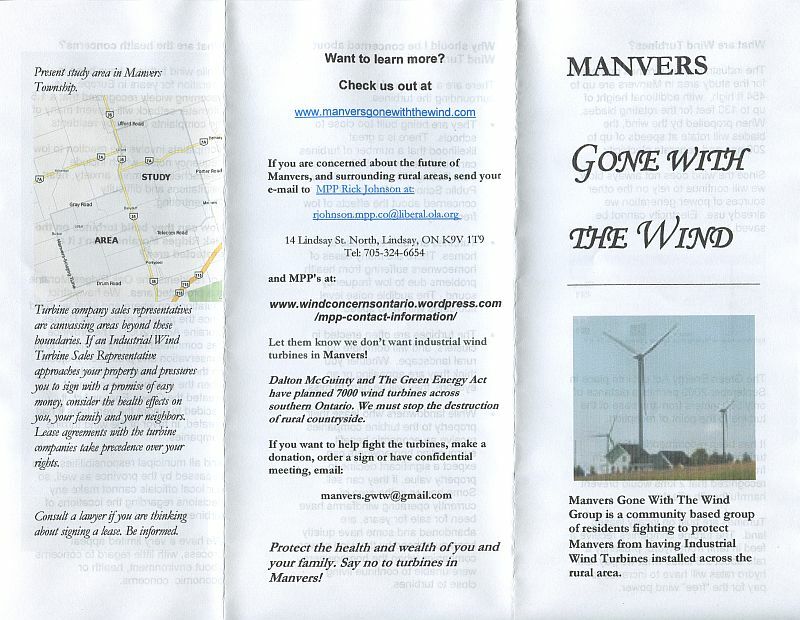 These were citizens with families that have to live in an area where large wind turbines are planned and there will be environmental consequences for wild life and humans combined. We all want power for everyday living and most would pay little attention to those who have to pay a personal price for that power, unless it is in our back yard! 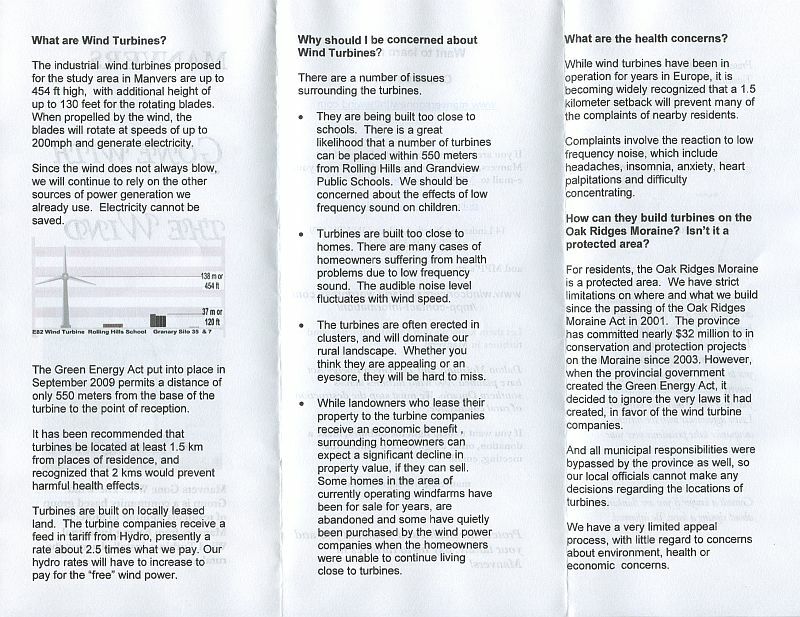 As a mother of two I would be very concerned about the low level noise in our home and at our school. We tried contacting the Premier and his party for comment but calls went unanswered.